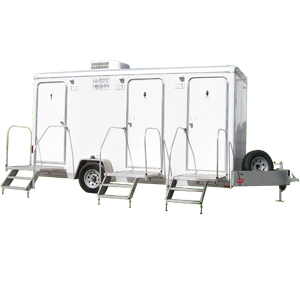 13-stall Deluxe Restroom Trailer – 30′ | Anderson Rentals, Inc. 13-stall Deluxe Restroom Trailer – 30′ – Anderson Rentals, Inc. 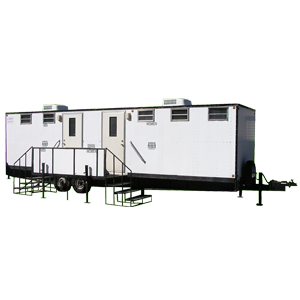 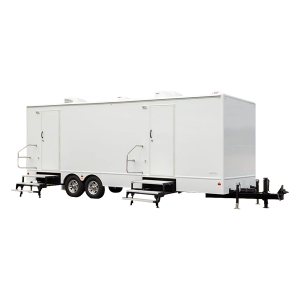 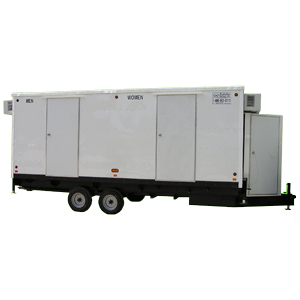 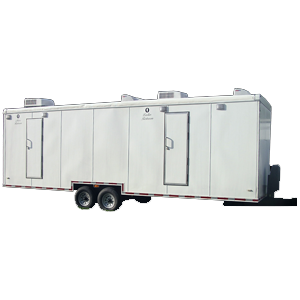 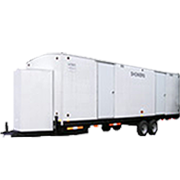 The 13-stall deluxe restroom trailer is one of the largest, most accommodating mobile restroom trailer offered by Anderson Rentals. 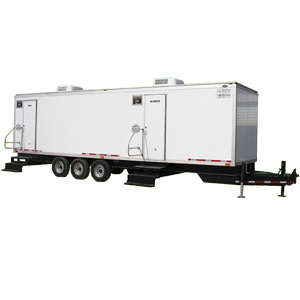 It is perfect for large, multi-day events such as air shows, concerts and more. 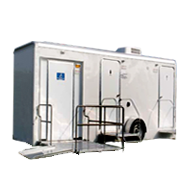 Used alone or in combination with other facilities, portable restrooms and handicap restrooms, this facility will help to keep those lines moving and handle many people with quick bathroom access. 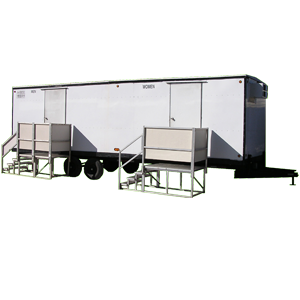 Valet attendants (ours or yours) are recommended. 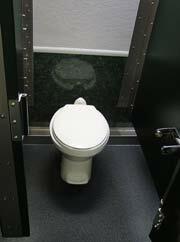 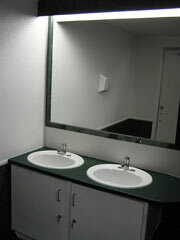 The women’s side of the 13-stall trailer features 6 enclosed stalls and 4 porcelain sinks with mirrors. 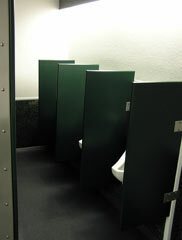 The men’s side features 3 enclosed stalls, 4 urinals and 2 porcelain sinks with mirrors. 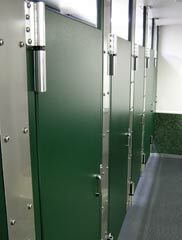 Note: Water and electrical supply required as well as Proof of Insurance for liability and damages. 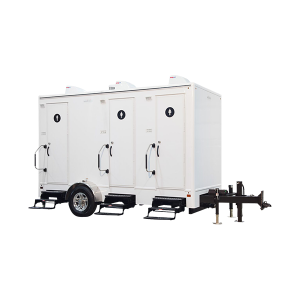 Electrical hookup and disconnect performed by a certified electrician is required. 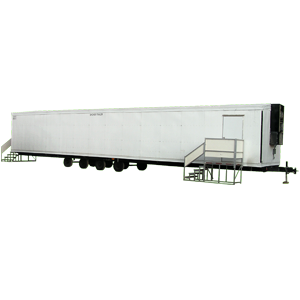 This is a 30′ box trailer/ 35′ in total length (with trailer tongue), 8’6″ wide (without stairs down), 12’6″ wide with stairs deployed.